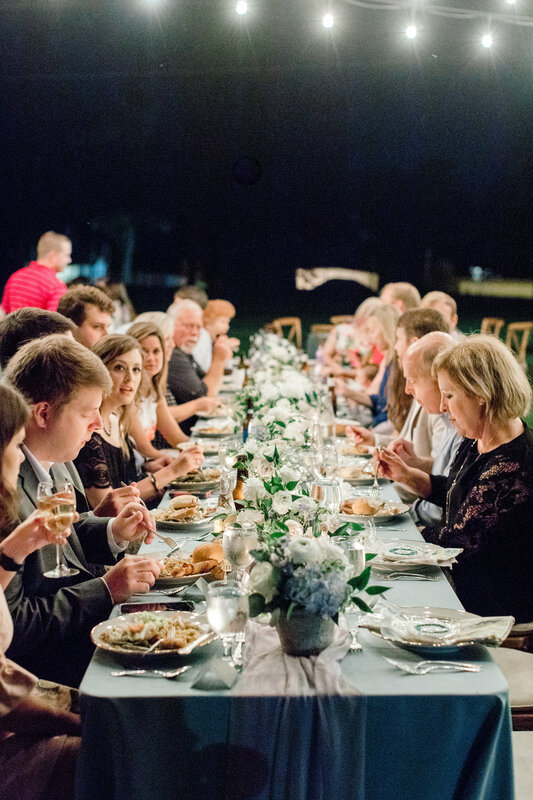 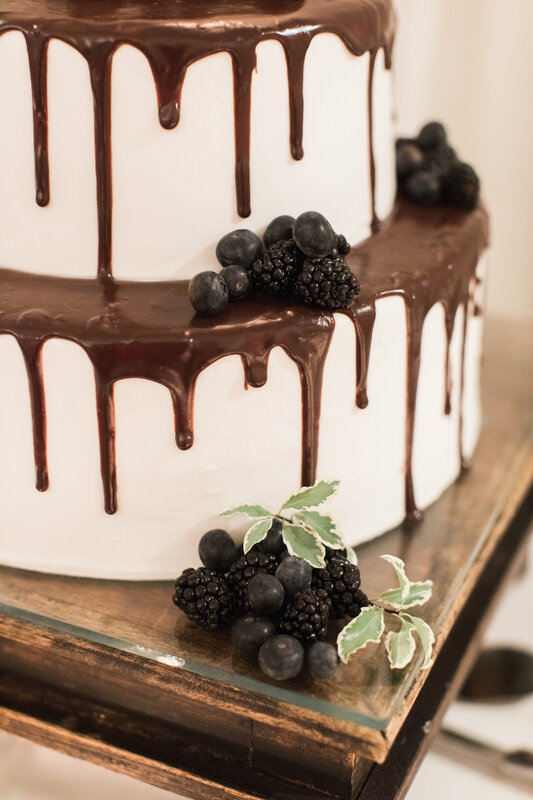 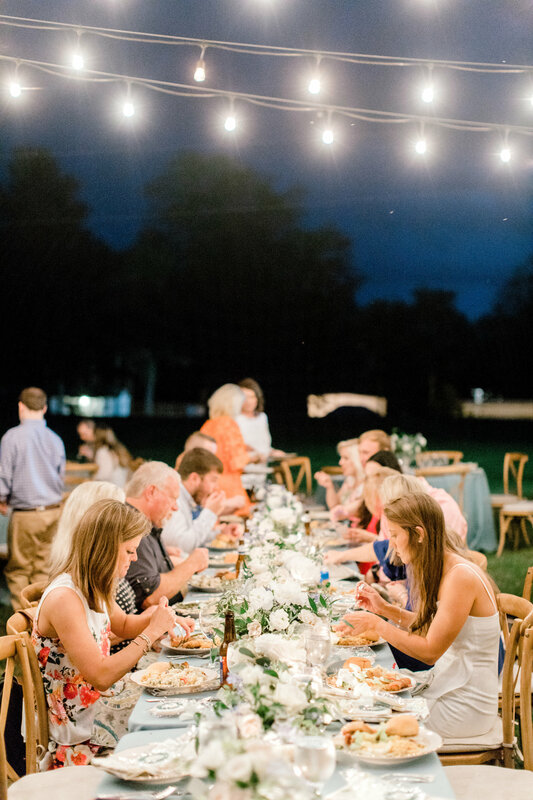 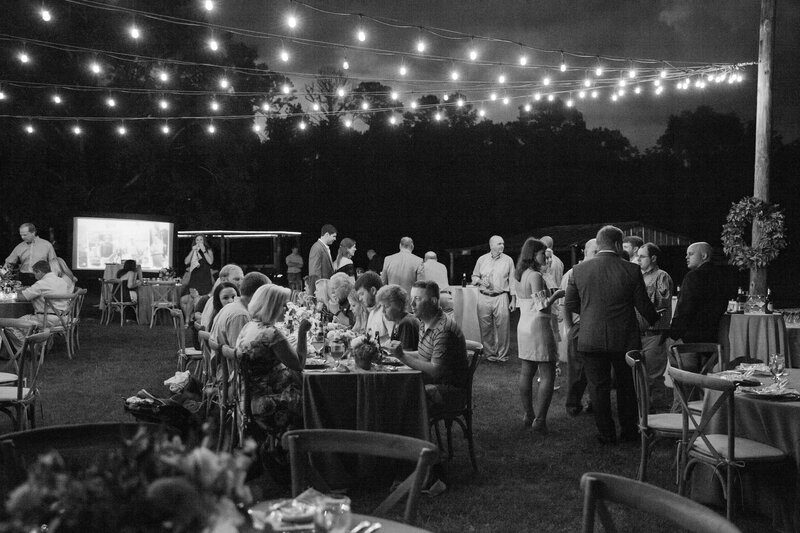 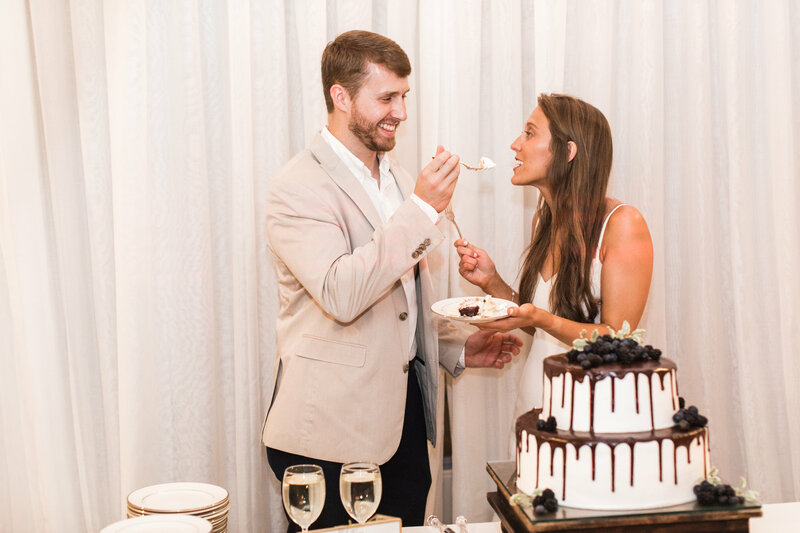 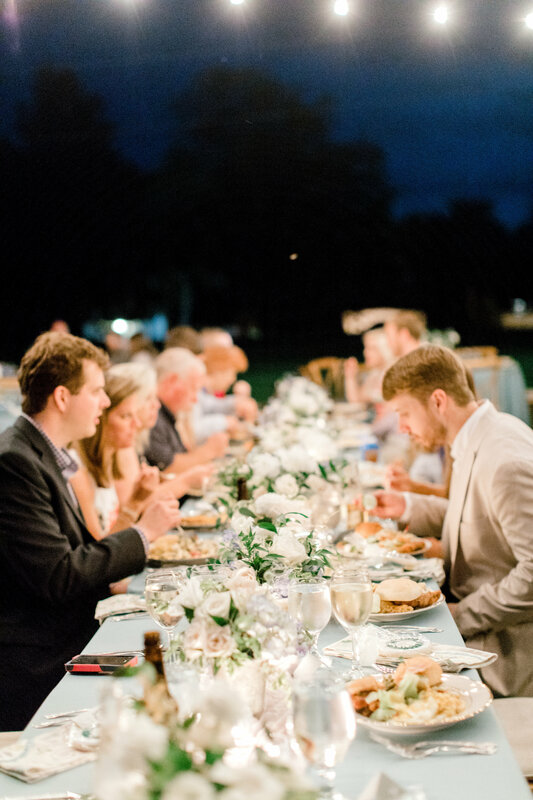 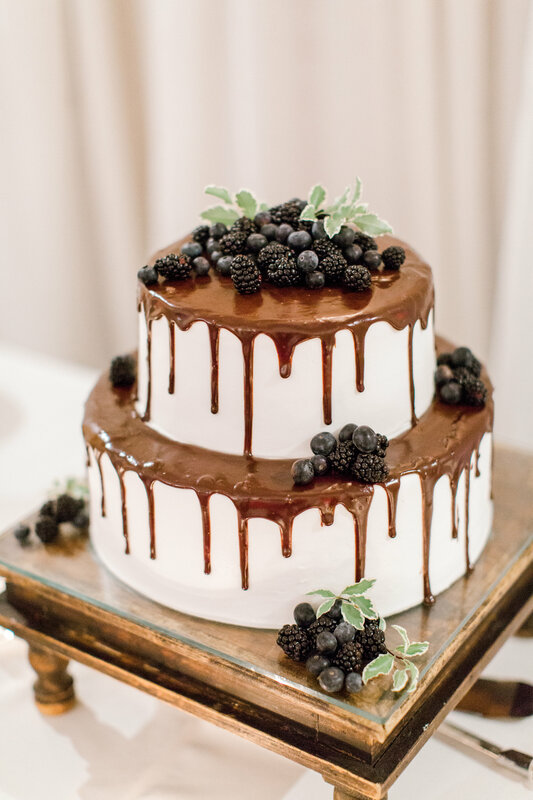 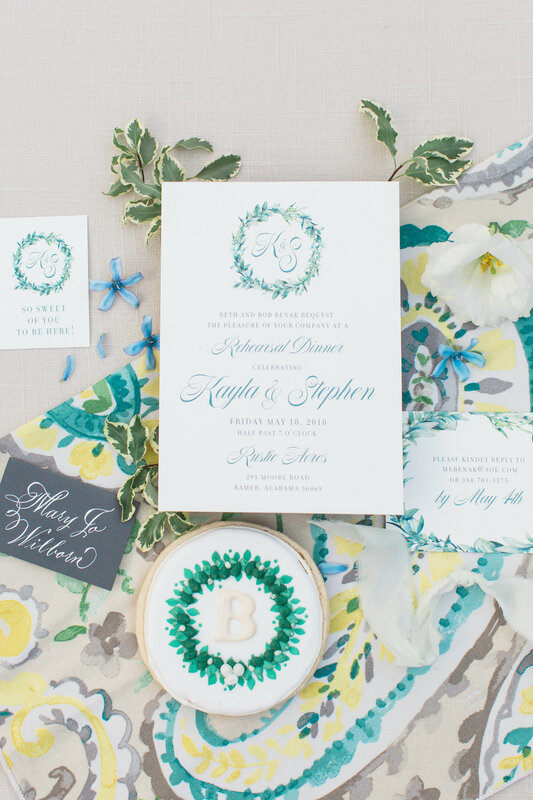 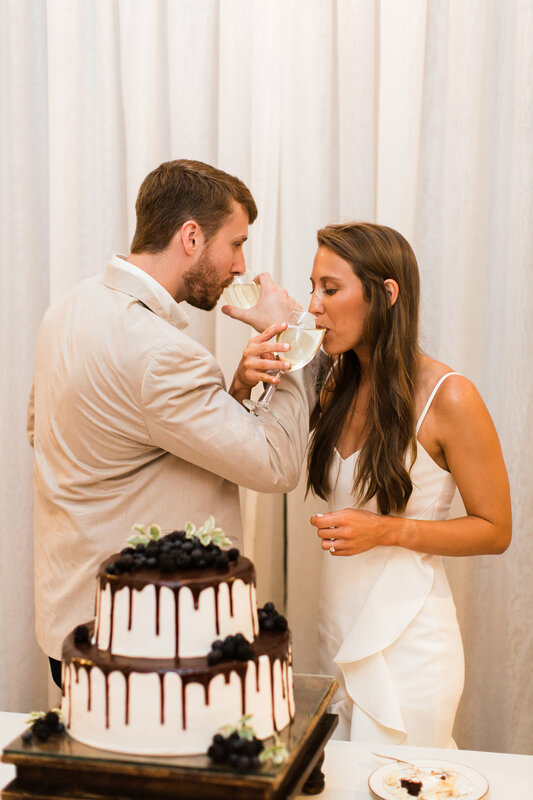 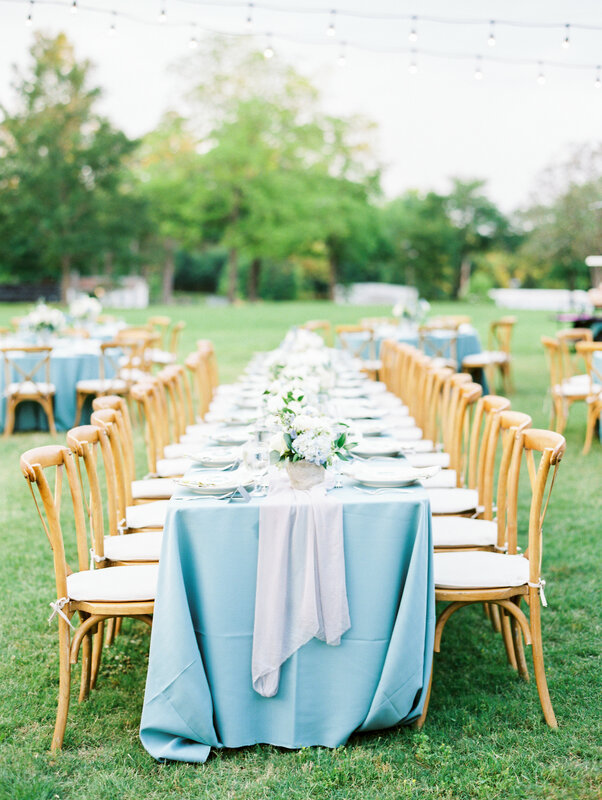 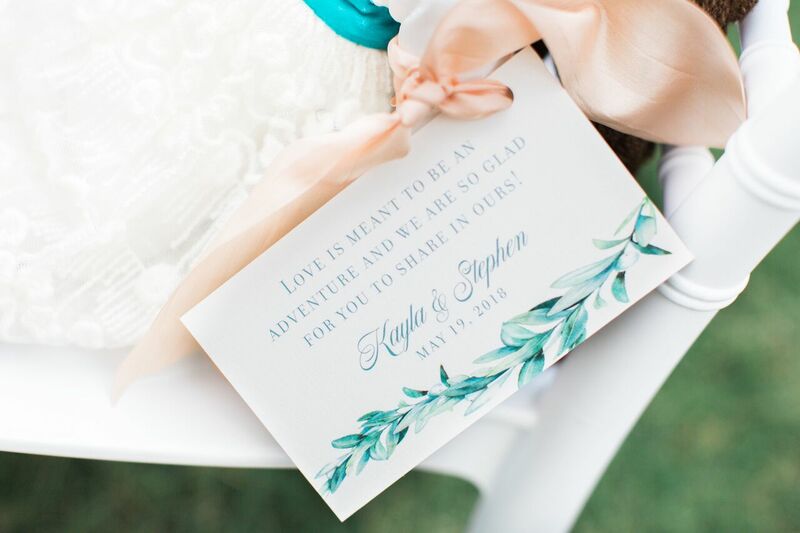 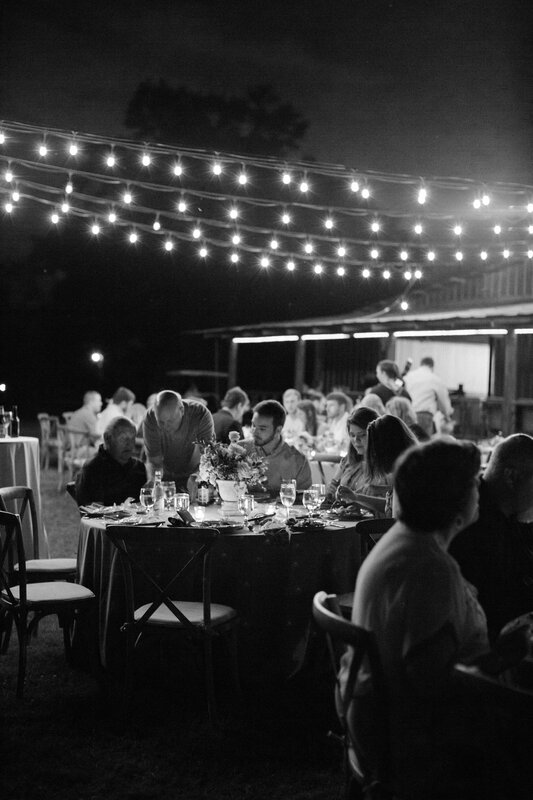 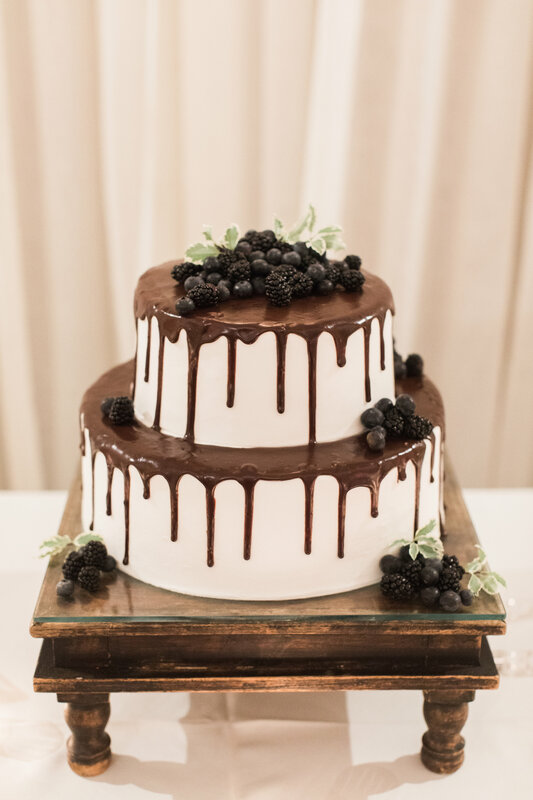 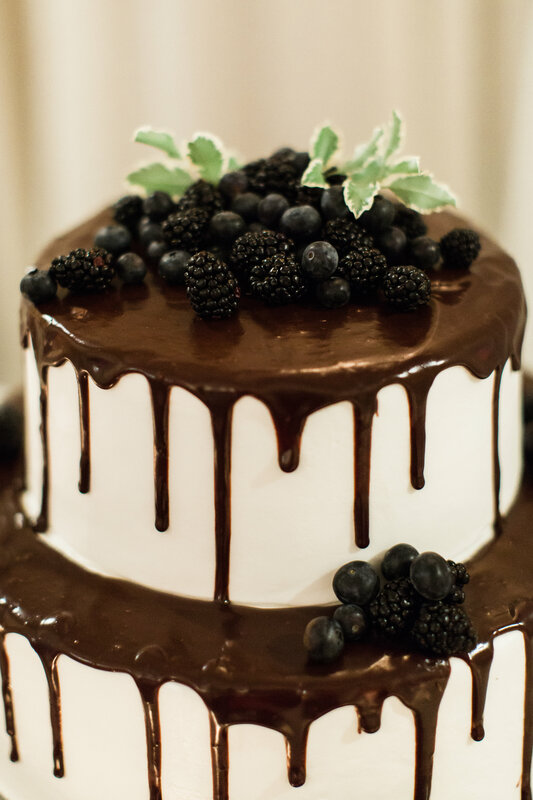 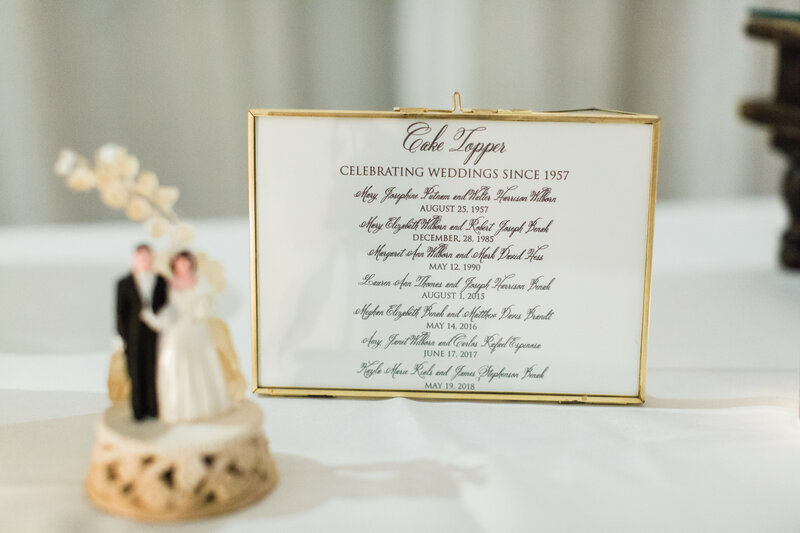 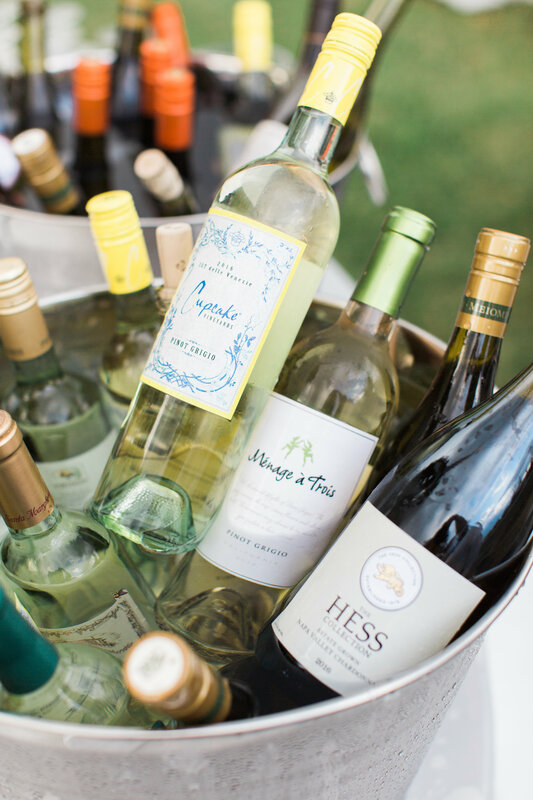 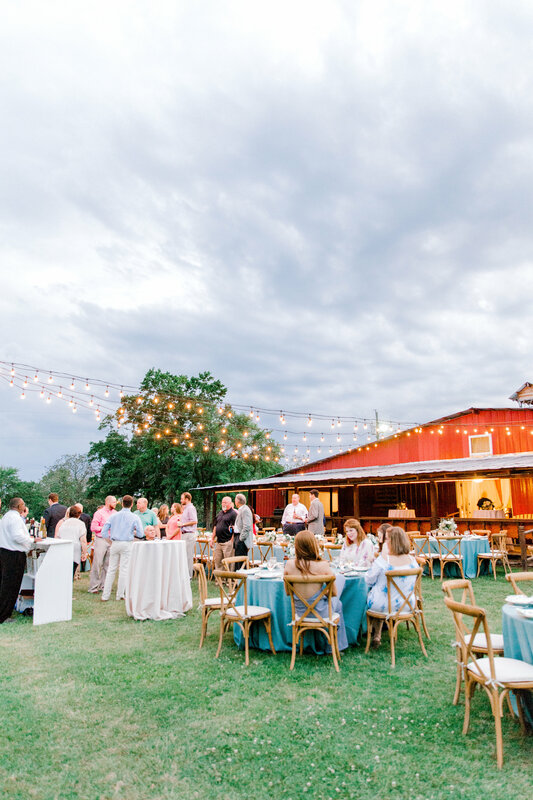 Twinkle lights, moody blues, whimsical flowers….these are just a few of the words we used for the inspiration behind this gorgeous rehearsal dinner. 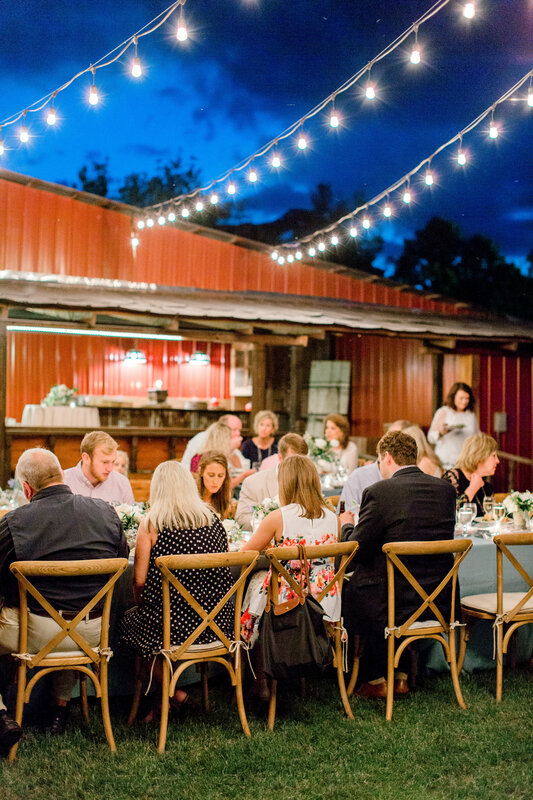 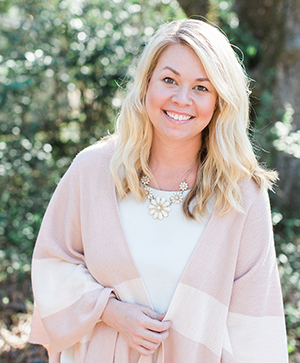 We wanted to transform the rustic features of the space to southern elegance and full of personal details for the bride and groom. 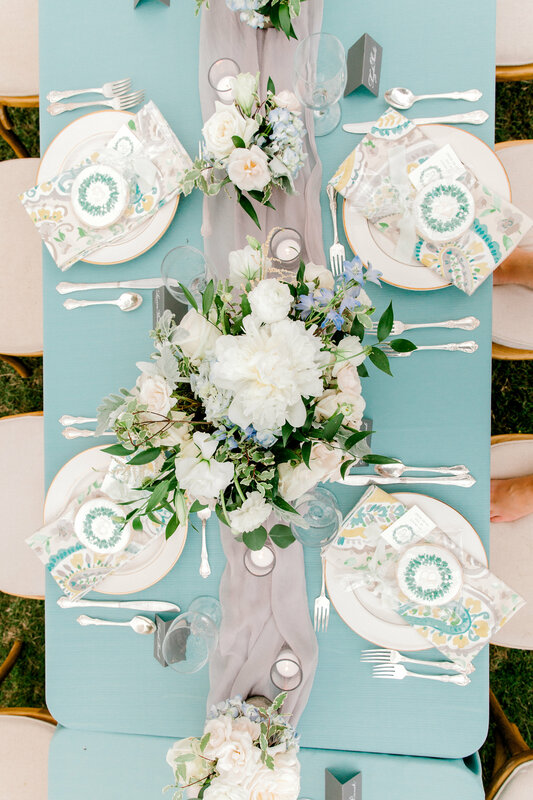 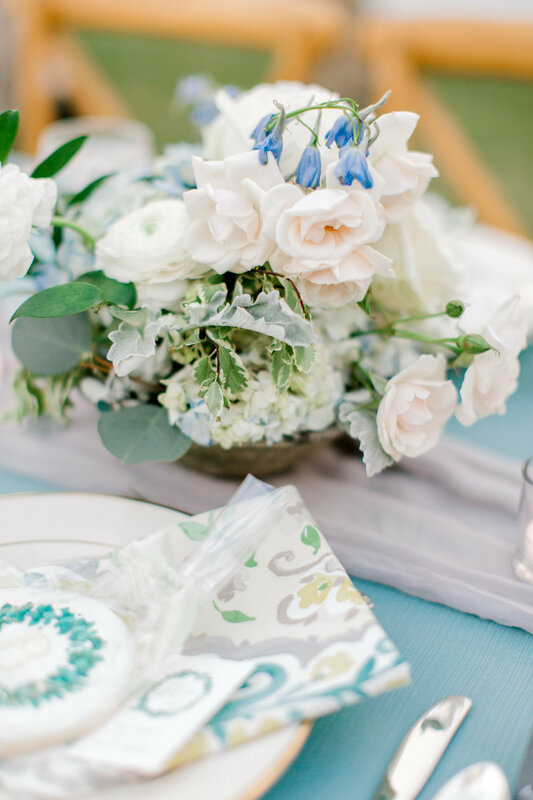 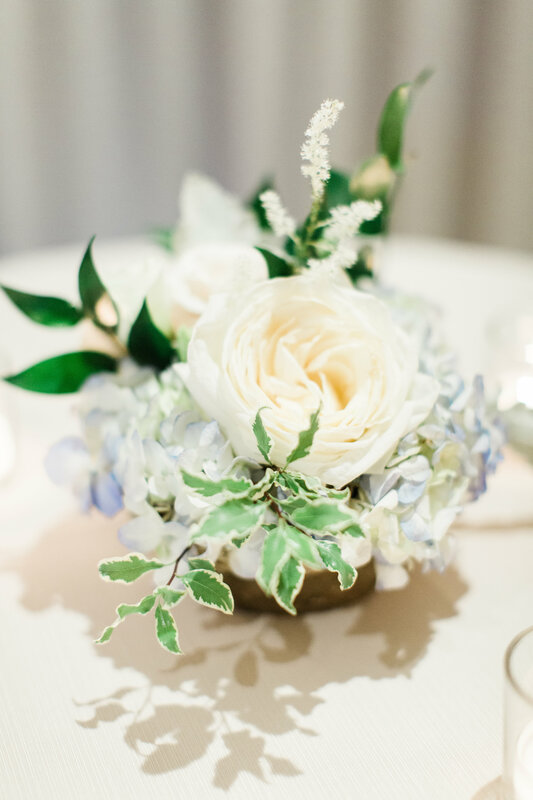 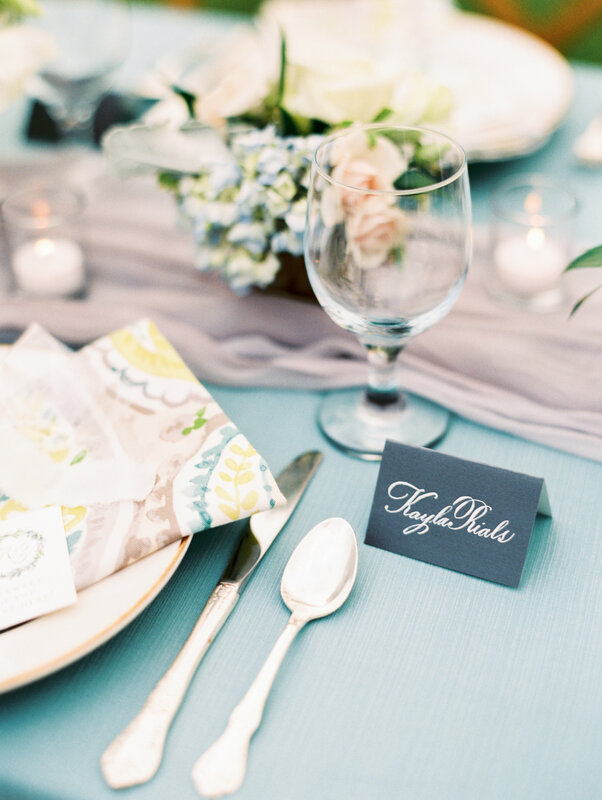 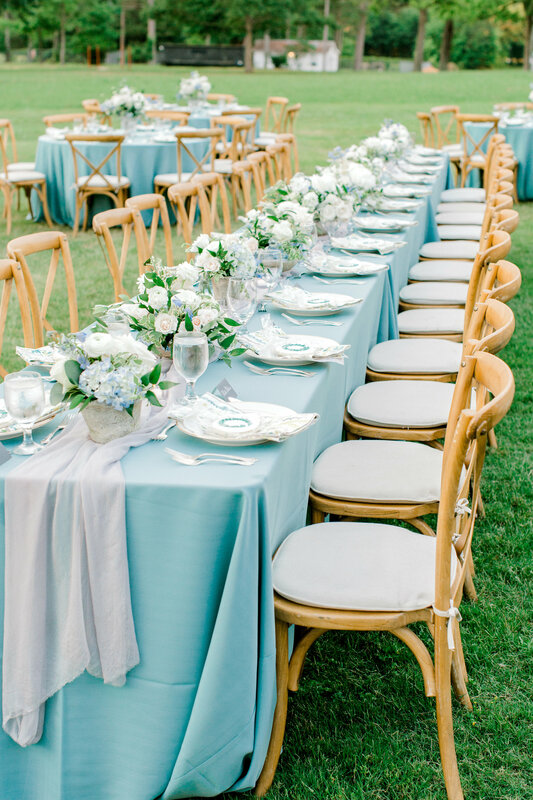 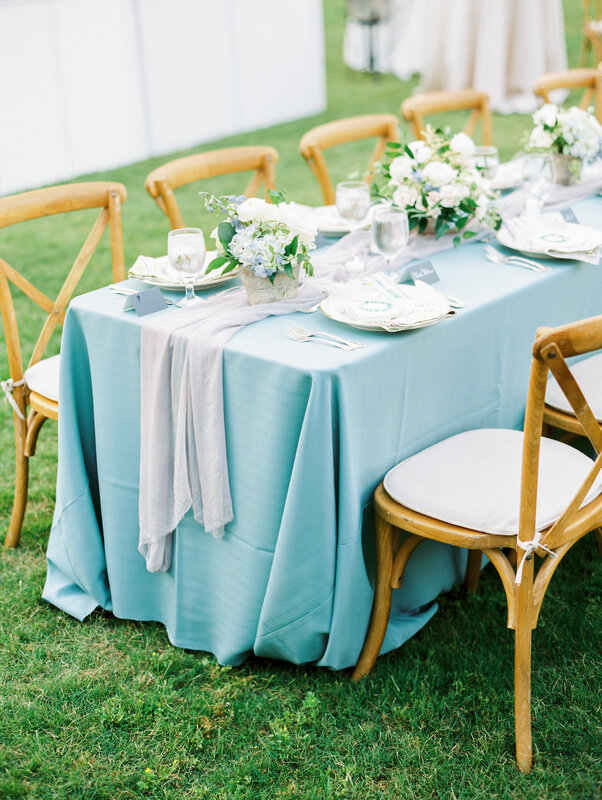 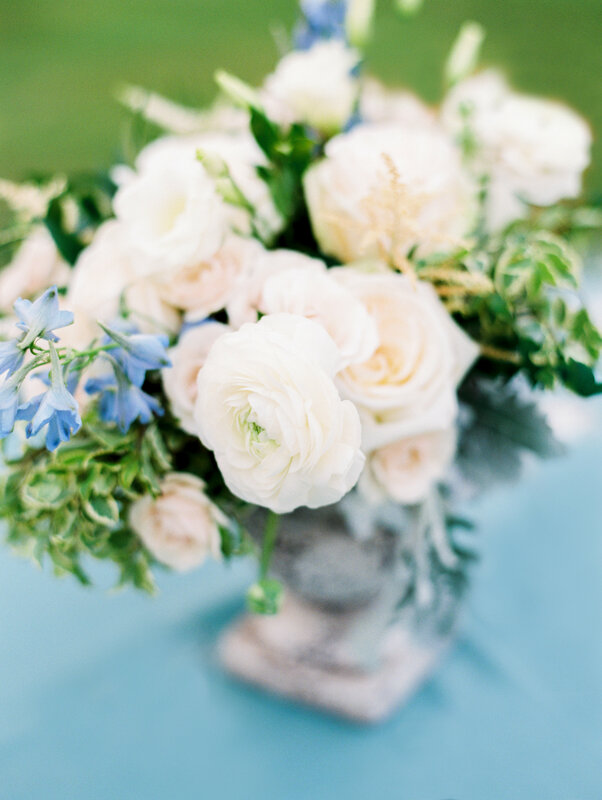 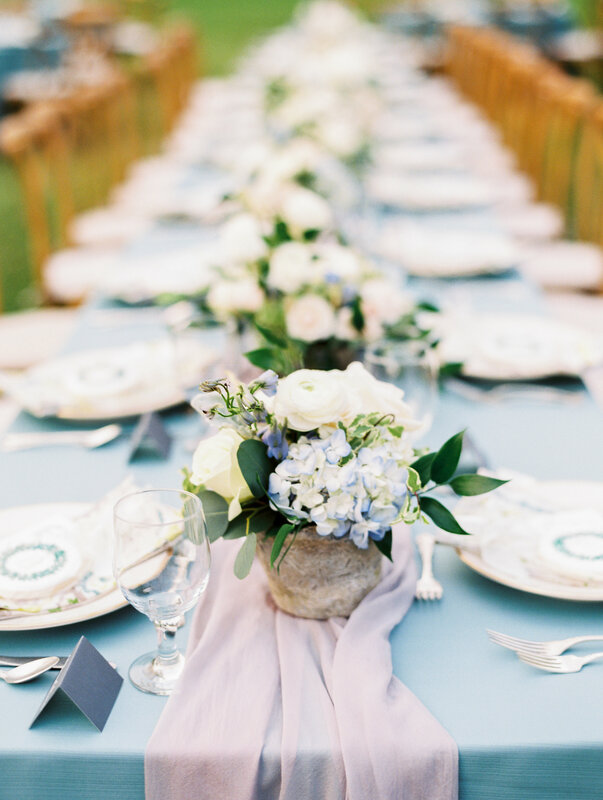 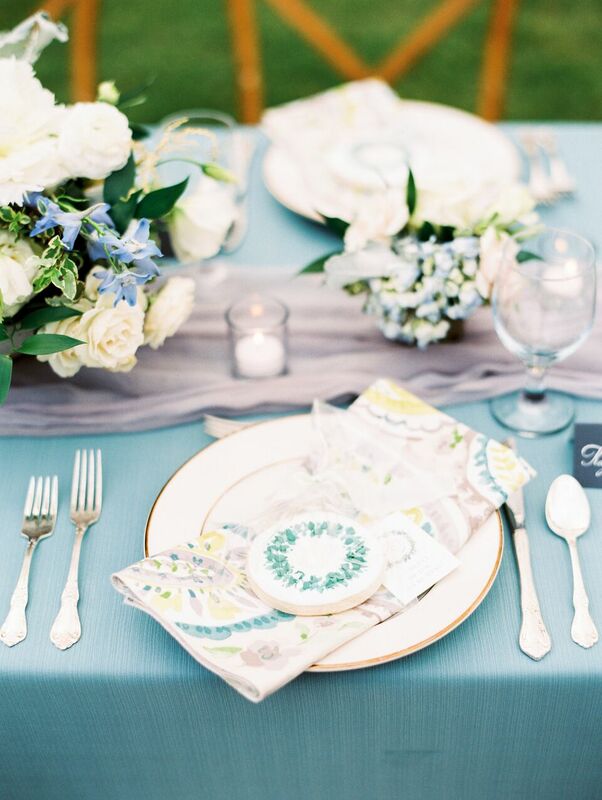 Wild arrangements of blues and greens in concrete containers gave off a more masculine vibe alongside gorgeous, feminine table settings, gauzy silk runners, soft candlelight, the most perfect blue linens and textured napkins, and the cutest personalized cookies. 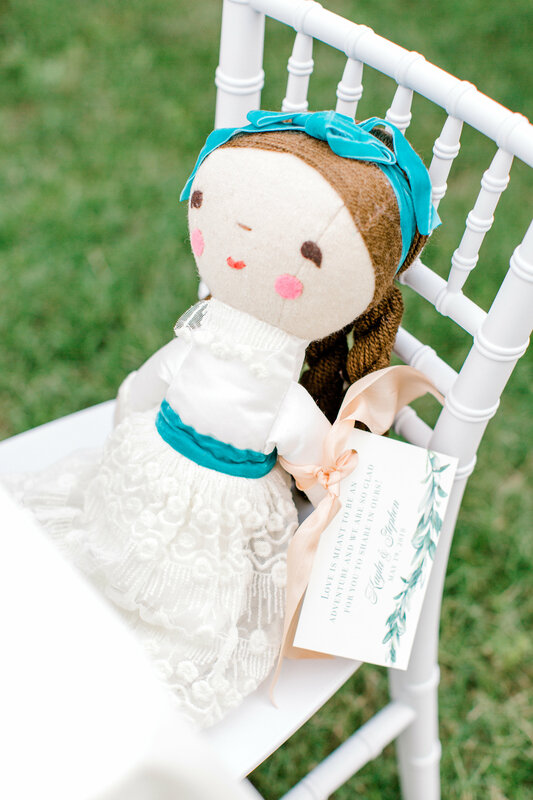 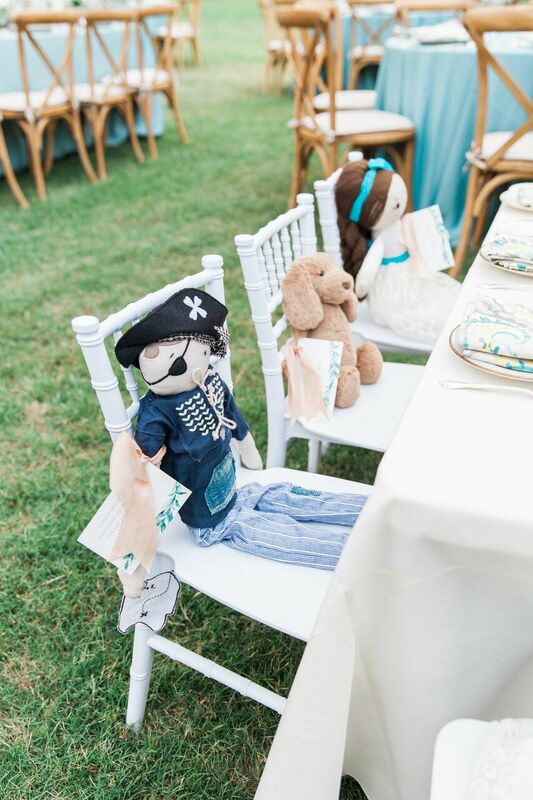 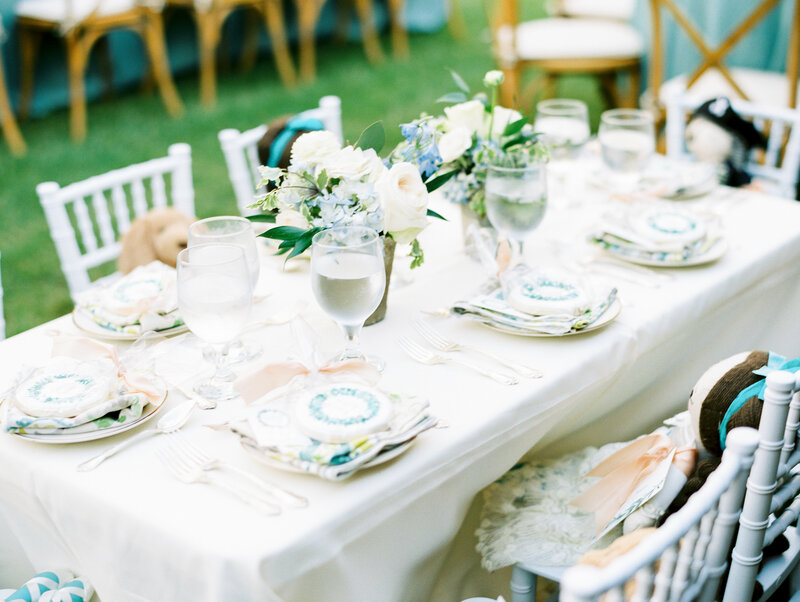 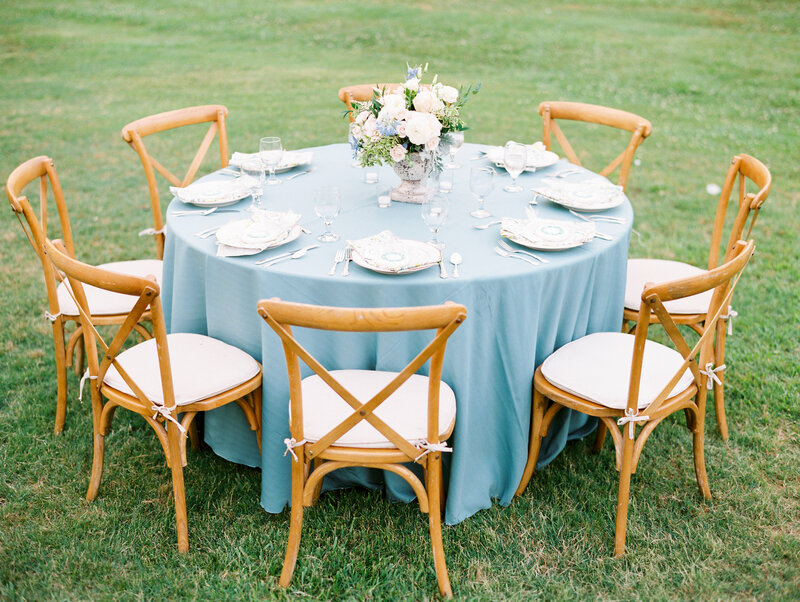 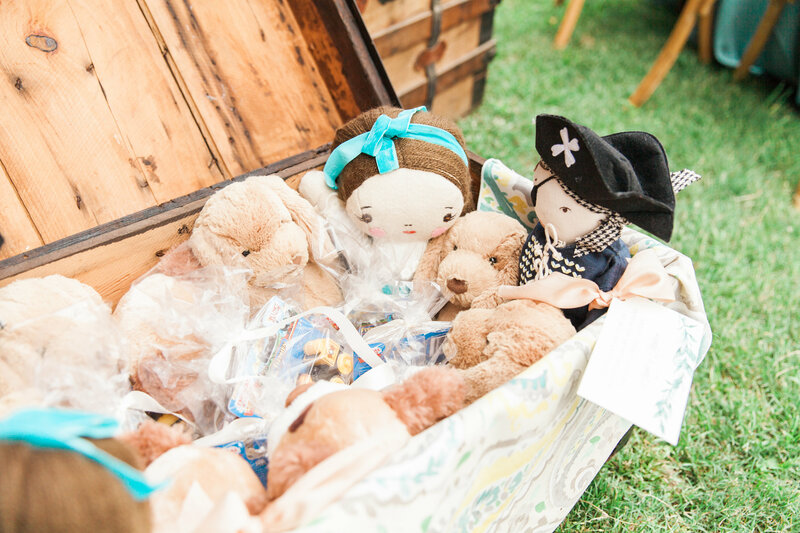 My personal favorite part was the kids table we did complete with mini chiavari chairs and the sweetest toy trunk filled with dolls and pirates reminiscent of the groom’s childhood toys. 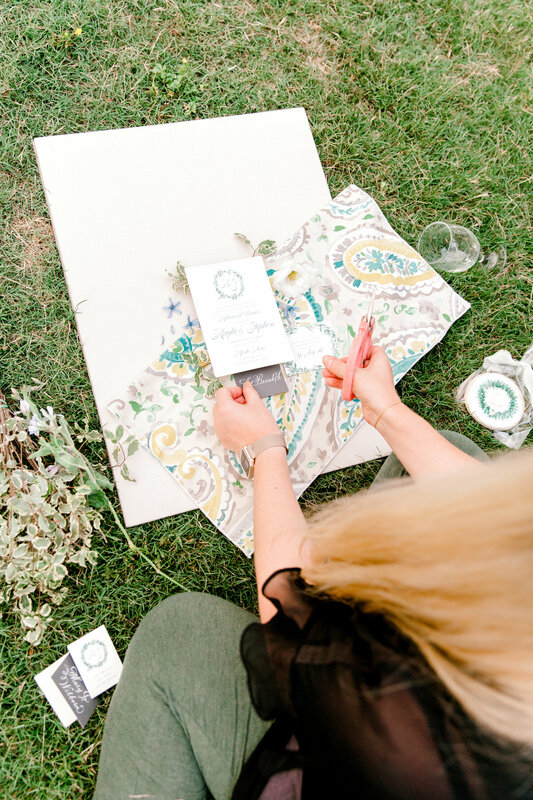 And how about the paper products we had designed? 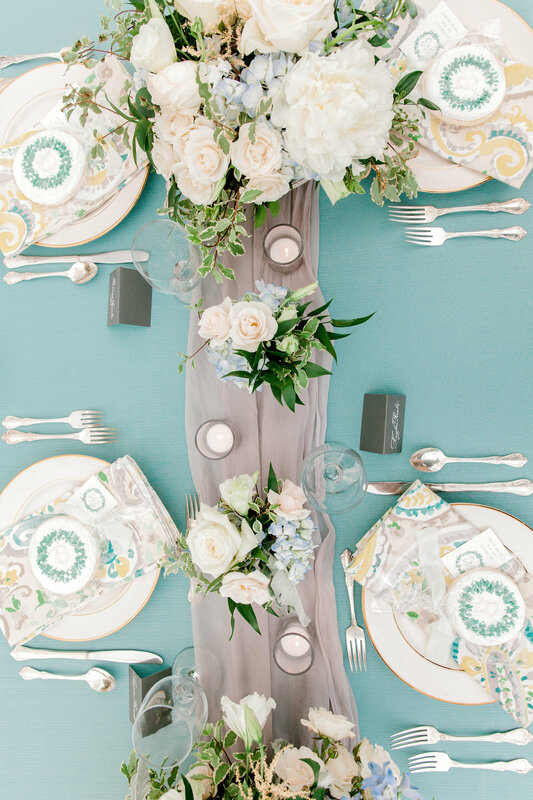 It was the perfect touch of masculine and feminine in our opinion. 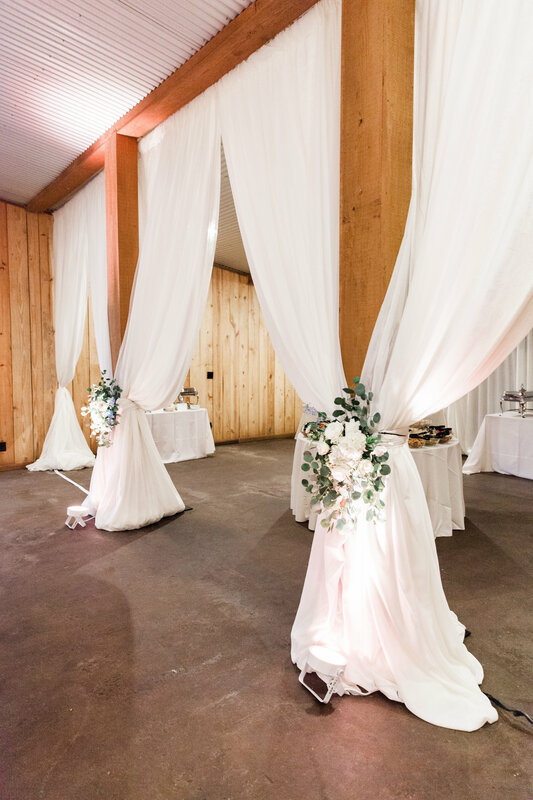 Inside, we softened the space with flowing ivory drapery tied back with some gorgeous blooms, and oh my what a transformation! 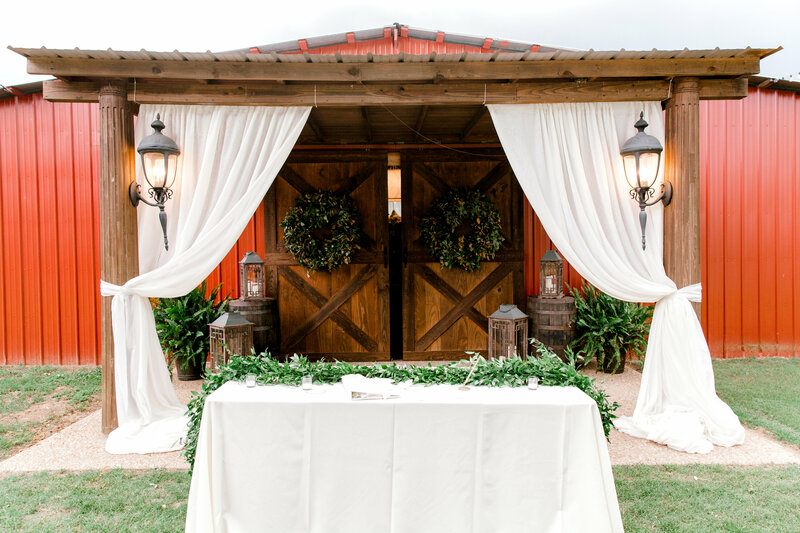 It’s amazing what a little drapery and some pretty uplighting can do to a space, not to mention the large floral focus and custom chandelier to greet guests right as they walked in for a night to celebrate family, friends and the sweetest love of an adorable couple.